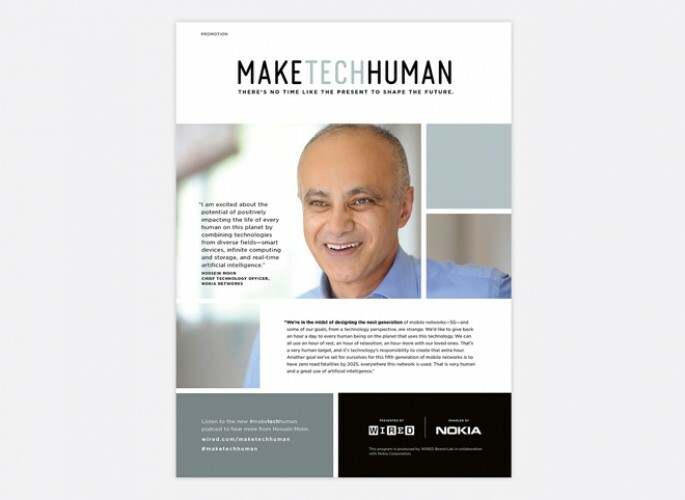 Print Single Leaf Insert featuring TED content. 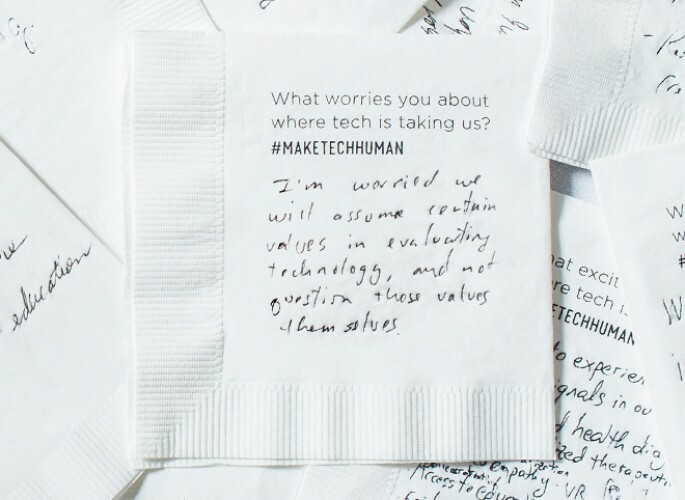 Attendees were asked two questions on a cocktail napkin 1) What excites you about where tech is taking us? 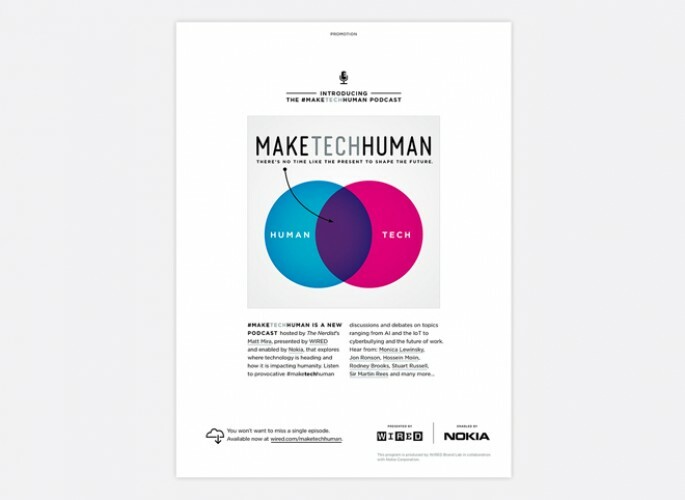 2) What worries you about where tech is taking us? 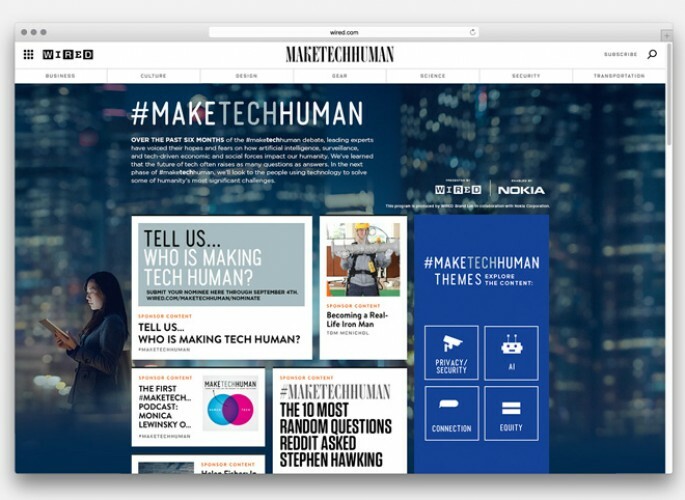 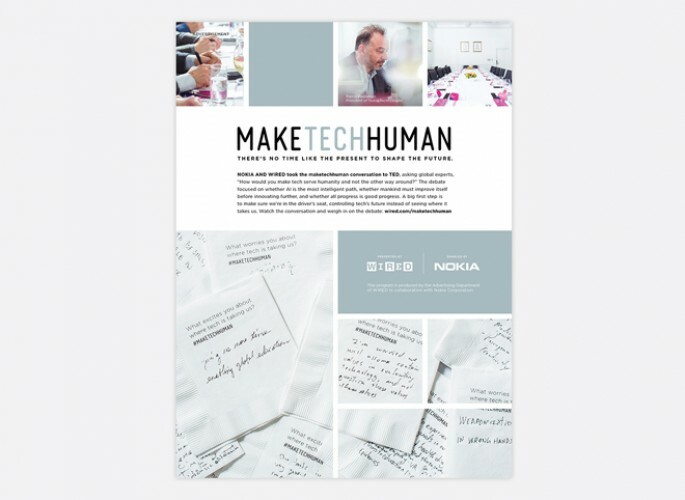 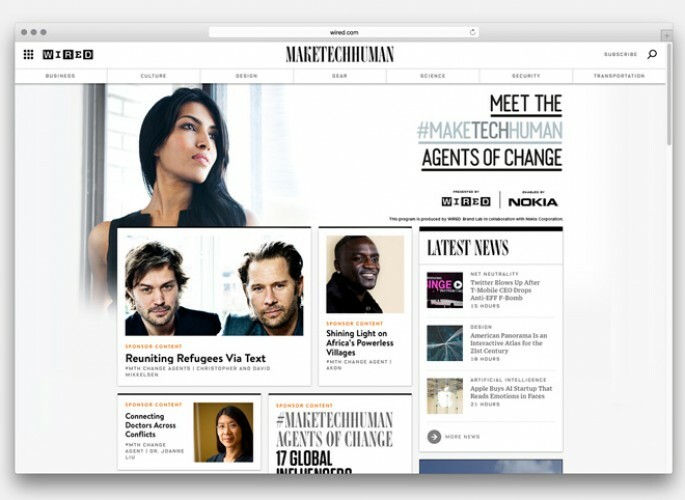 In 2015, the WIRED Brand Lab and Nokia partnered to kickstart a global debate on how to make technology serve humanity better called #maketechhuman. 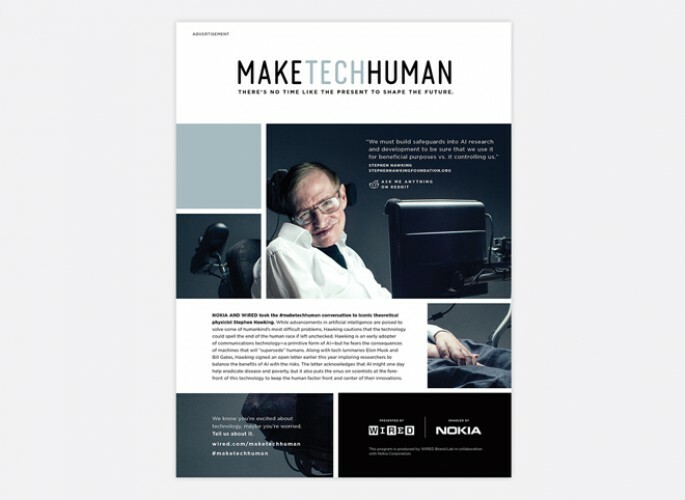 It was aimed at uncovering what worries—and what excites—people about innovation today, from the most influential minds on the planet to your next-door neighbor. 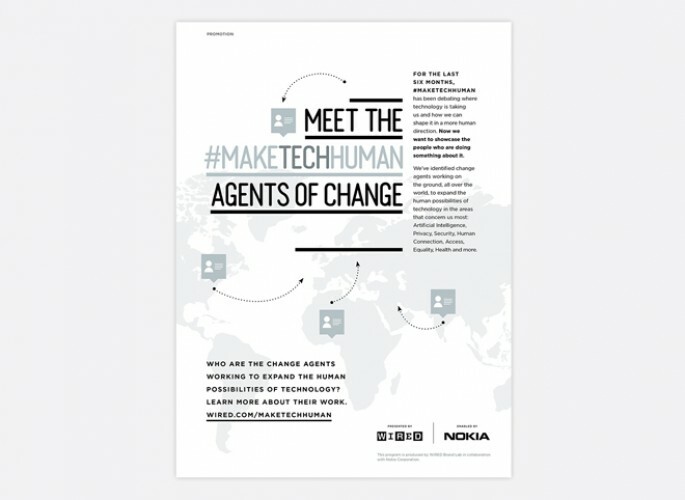 Together WIRED and Nokia launched an omni-channel global initiative examining the role of technology in society and whether or not it is beneficial. 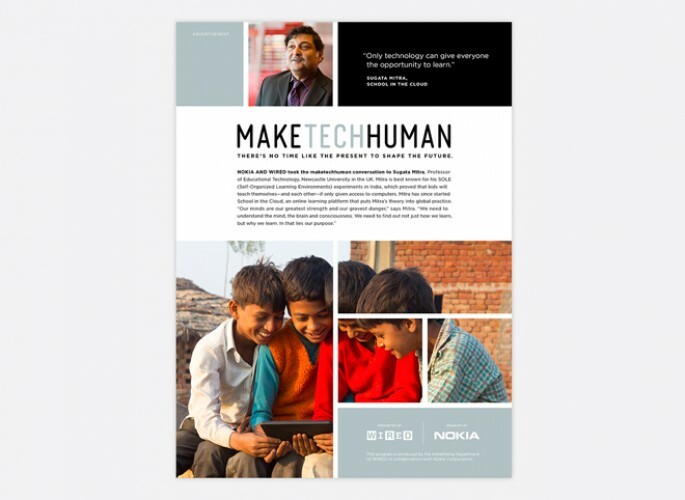 The goal was to identify the opportunities and challenges created by these advances and start a conversation on how they could be used most effectively. 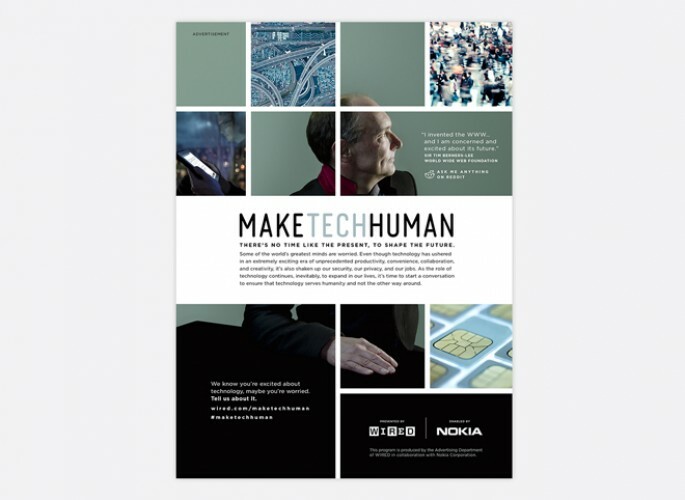 To kickstart the first stage of the program, which rolled out in three phases, WIRED and Nokia partnered with Sir Tim Berners-Lee for an Ask Me Anything (AMA) forum on Reddit. 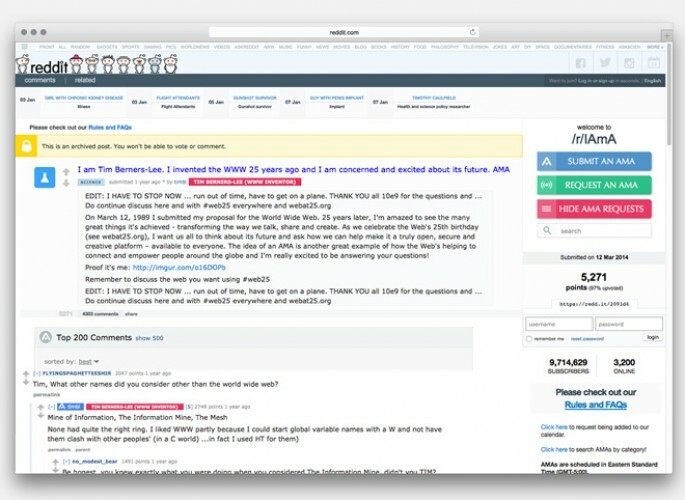 In the AMA, Berners-Lee, who is hailed as the inventor of the World Wide Web, took on the issues relating to technology and humanity, fielding questions directly from the Reddit community. 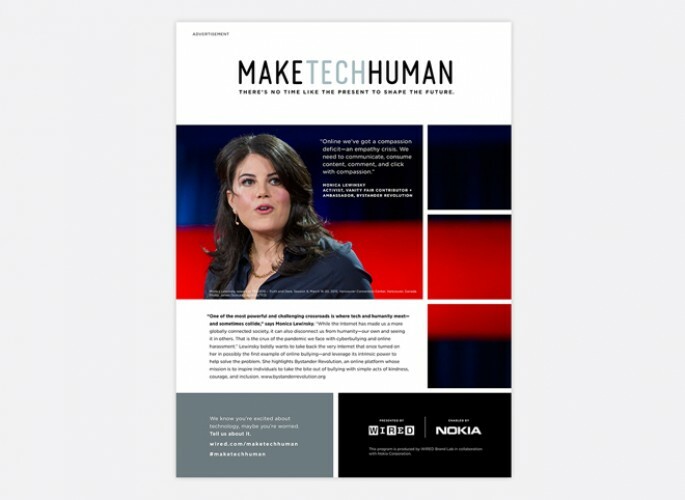 The #maketechhuman program then hit the road to attend the annual TED Conference in Vancouver, where TEDsters from around the world offered off-the-record insight about the future of tech and how it can be pushed in a positive direction. 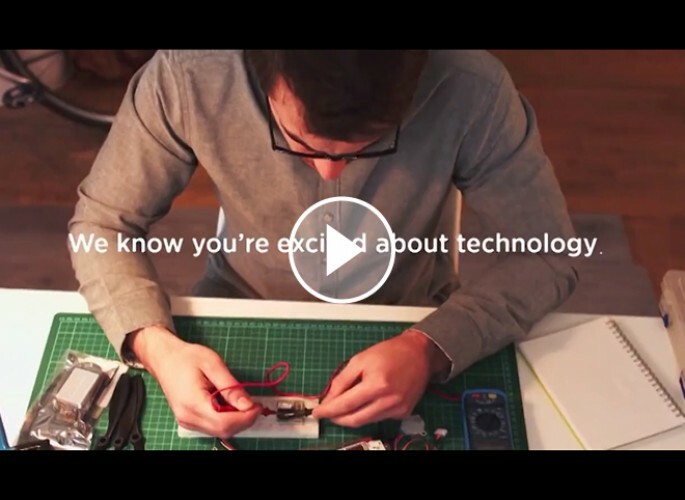 TED speakers and attendees also shared their thoughts in original video content produced for the program. 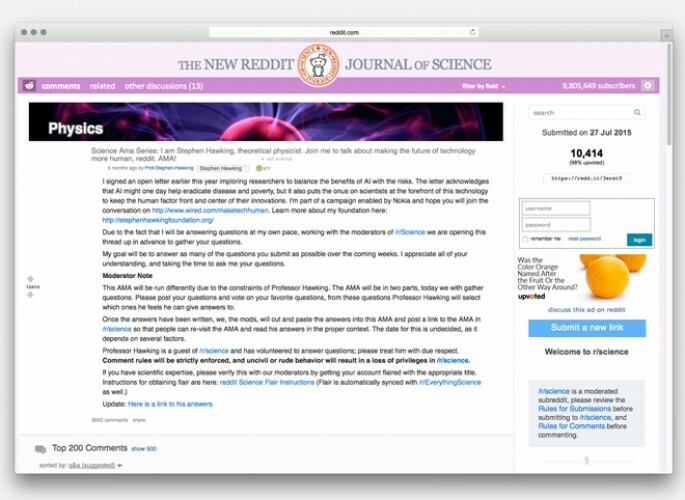 The excitement and concern exposed through the Reddit AMA, at TED, and on social media set the tone for the next nine months of the program. 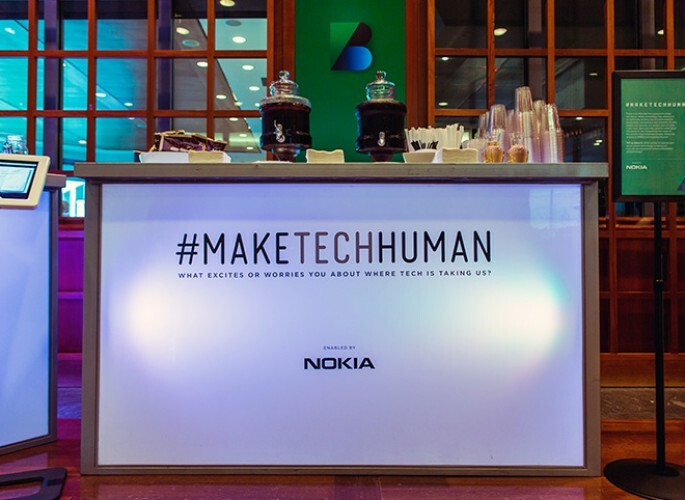 Some of the most important topics raised included privacy, security, artificial intelligence, human connection, and equality. 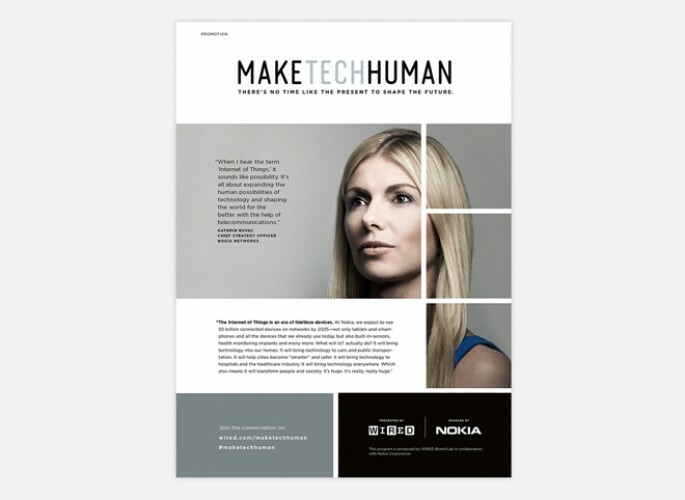 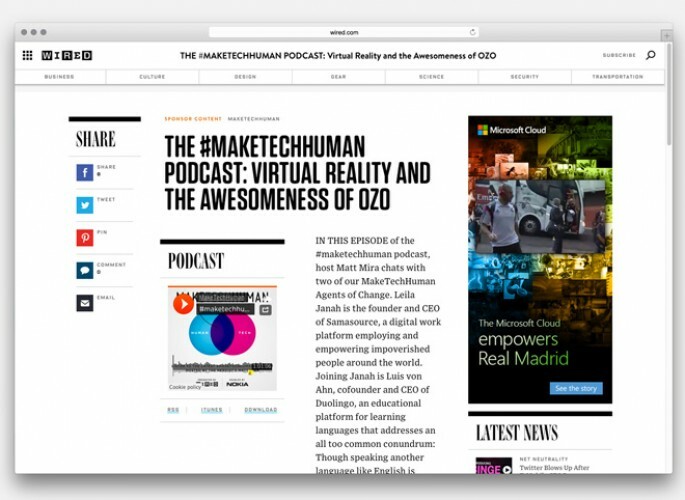 Since its launch, the #maketechhuman program has generated more than 106 pieces of content, including long and short articles, slideshows, and infographics, as well as original photography, short videos, podcasts, and more. 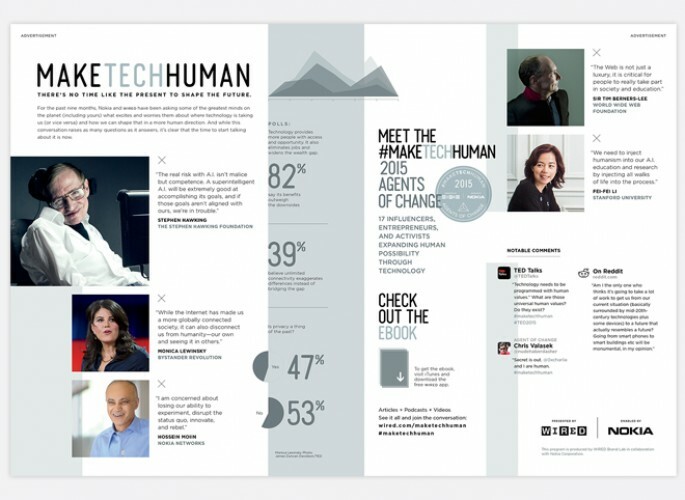 The program also traveled around the world generating content from New York to Japan, including places like Vancouver, Las Vegas, Finland, India, Germany, Brazil, and the U.K.